What Does iCloud Drive Back Up? How to View Data in iCloud Drive? What Does iCloud Drive Back Up and How to View Data in iCloud Drive? Apple is consistently releasing new platforms and functions that enhance the user experience, and one of most popular is the iCloud Drive. It helps to protect your favorite files, without clogging up your devices and wasting unnecessary storage space. We’re going to discuss everything you probably interest in about the iCloud Drive in this article. What Does iCloud Drive Back Up? How to View Data Stored in iCloud Drive? Difference Between iCloud Drive and iCloud Backup? How to Back Up iCloud Drive Files? iCloud Drive Is Not Working? Find the Solutions! 1. What Does iCloud Drive Back Up? There’s a variety of features that make iCloud Drive such an amazing platform, hence why millions utilize it every day. You can back up all of your vital files, such as photos, documents, presentations and other types of data. But, you cannot back up anything that is larger than 50GB, or anything that exceeds your iCloud storage limit. Backups aren't the only thing you can do with iCloud Drive, though. You can keep all of your data up to date, no matter what device it's on, in one centralized place. In addition, you can create new files within the drive, and they'll appear on any device that you access it from. Oh, and you can share your data with anyone in seconds. 2. How to View Data Stored in iCloud Drive? As you aren't limited to what device you can access your iCloud Drive on, you have total freedom with viewing your data. Now, the main ways to hop on to your iCloud Drive are through your PC, Mac or iOS devices. If you go down the PC route, you can just use any supported web browser and head to iCloud.com, then log into your account. Alternatively, you can go to iCloud Drive in File Explorer if you have Windows 7 or later. 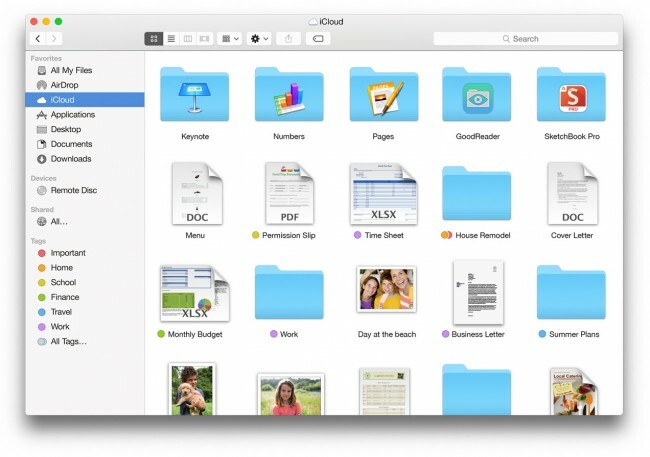 With Mac, you can find your iCloud Drive by searching for it in Finder. Moreover, with iOS devices, either use the Files app or use the iCloud Drive app on iOS9 or iOS10. 3. Difference Between iCloud Drive and iCloud Backup? 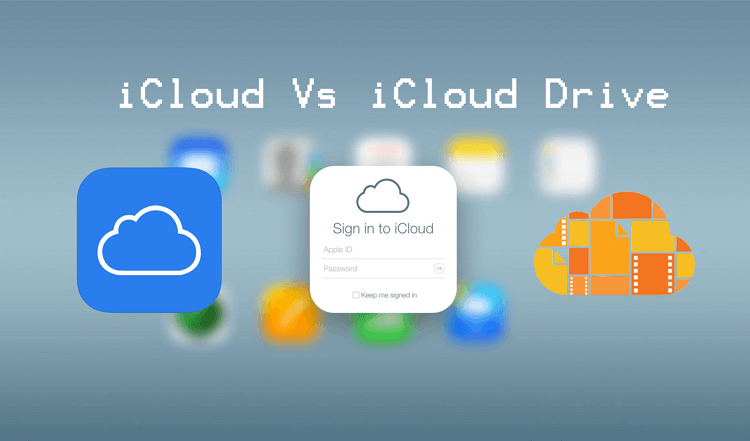 So many people struggle to distinguish iCloud from iCloud drive, and it's very easy to confuse the two. But, don't worry, we're here to help. iCloud: iCloud is a basic way to store all of your data in the cloud, and a quick way to sync that data across devices. However, iCloud doesn't backup all of your data and your storage limit is capped unless you pay for more. 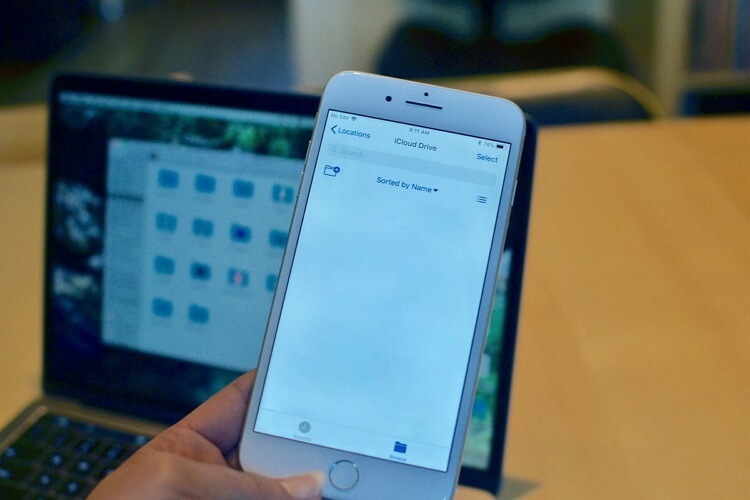 iCloud Drive: iCloud Drive is Apple's alternative to Dropbox or OneDrive, in that it's a cloud-based platform where you can backup, share and view data. It keeps data synced between all of your devices no matter what. 4. How to Back Up iCloud Drive Files? If you have no idea how to back up your iCloud Drive files, then you can follow this awesome guide – just click here and follow the instruction to back up important files in iCloud Drive. 5. iCloud Drive Is Not Working? Find the Solutions! As with most Apple functions, there's a strong chance that you may encounter problems from time to time. One of the common issues is iCloud Drive taking up too much space on your computer, which you can find a solution from this link. Another is iCloud Drive not syncing to your Mac or PC, and here the post offers solutions to it. Ultimately, iCloud Drive is an excellent document-sharing platform where you can backup and view your precious data. Check it out, what have you got to lose?